I think it would be quite fair to say I am a book-a-holic! I have a serious thing for books. Maybe a bit of an obsession.........! Old/vintage books, new books, fiction, non-fiction, different topics.............. simply L.O.V.E. books!! There's that vintage feel of the older book, the fascination with the road the book might have travelled before ending up on my shelve. And then there's that new book smell - nothing beats it! Needless to say my house is filled with books, seeing as my husband and youngest son shares this love of books with me. We are members of the local library and it is not unusual for me and my youngest to spend two or three hours there on a Saturday. Although my oldest son does not share our love for books per se, he does read a lot of newspapers and sport related articles on the internet. Especially anything to do with rugby and athletics! And we could easily forget about time when we're in a bookshop or library! Not to mention a charity shop filled with hundreds of books at such great prices! Not my best pictures ever, I have to admit! 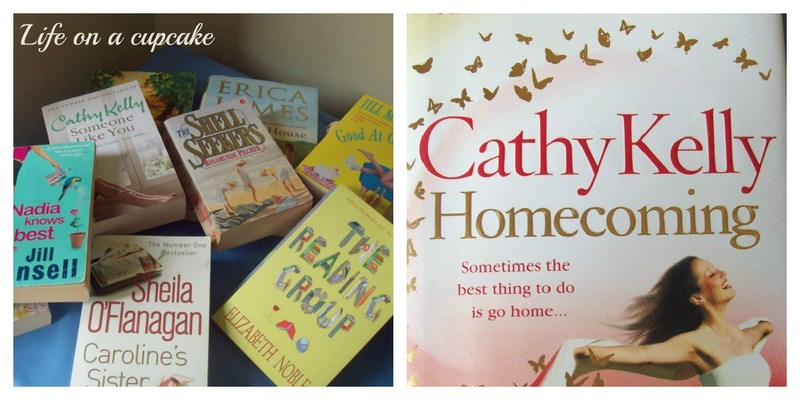 Nevertheless, they're all great books, but my favourite is Thriftychic. Don't you just love a good décor book? With great tips and ideas that will not break the bank? Well, this is one of those. Papercraft and Paper Sculpt Sensations are a paper crafter's paradise. Thanks for stopping by Life on a Cupcake! If you are a first time visitor, welcome! I would be honoured if you would take a moment to leave a comment; subscribe to my blog or "like" my facebook page, Little Canvas. Do keep in touch, I love to hear from new (and old) friends! Until next time, keep well! Well, after being ill for two weeks, I'm finally seeing the light again, so to speak!!! After about a week I realised this was a long-term cold, so I decided to just go with the flow and sit (more like lie) it out. Maybe my body just needed a proper rest? To keep busy I did some reading, crocheting and of course watched the Olympics. I borrowed no less than 11 books from my friend and neighbour to read over the holiday! So far I've read two. I have the tendency to read until the early morning hours, so If I do not pace myself, I will never sleep! I loved Homecoming by Cathy Kelly. I also took up crochet......again! 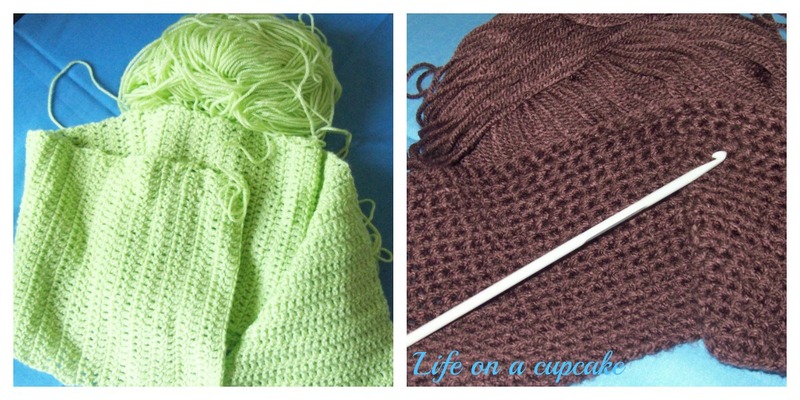 I say again because every 6 months or so I begin to crochet and a few weeks later I "forget" about it again. Those ever-present half finished projects! I'm trying to finish a scarf I started many moons ago and I've just started a cushion I want to make for our living room. However, all this lying around is now a thing of the past, and as you can imagine, I'm swamped! The house is a mess and I am way behind with all my other work, like the swap I signed up for ages ago, my blogs, Facebook page, websites, stock for my sites, etc. If you see dust clouds in the air over the next week or so here in the UK........ don't fret, it's just me getting a grip on everything....... again! If you love shoes (like I do) please visit my new blog http://formyloveofshoes.blogspot.co.uk/ . It's all about the shoes over there!